Packed full of features this Smeg Concert range cooker is an essential cooker for the keen chef and the design makes it simple to navigate around and achieve perfect results with. This cooker comes with only one large and spacious cavity, the massive 115 litre oven also has a vast range of oven functions so you can cook certain foods to perfection. One of the main functions is the innovative and effective Circulaire, this provides many benefits including no preheat if cook time is more than 20 minutes, no flavour transfer when cooking different foods at the same time, less energy, and shorter cook times. Many other functions come included including a range of fan functions, upper heat and lower heat, grill and rotisserie functions. 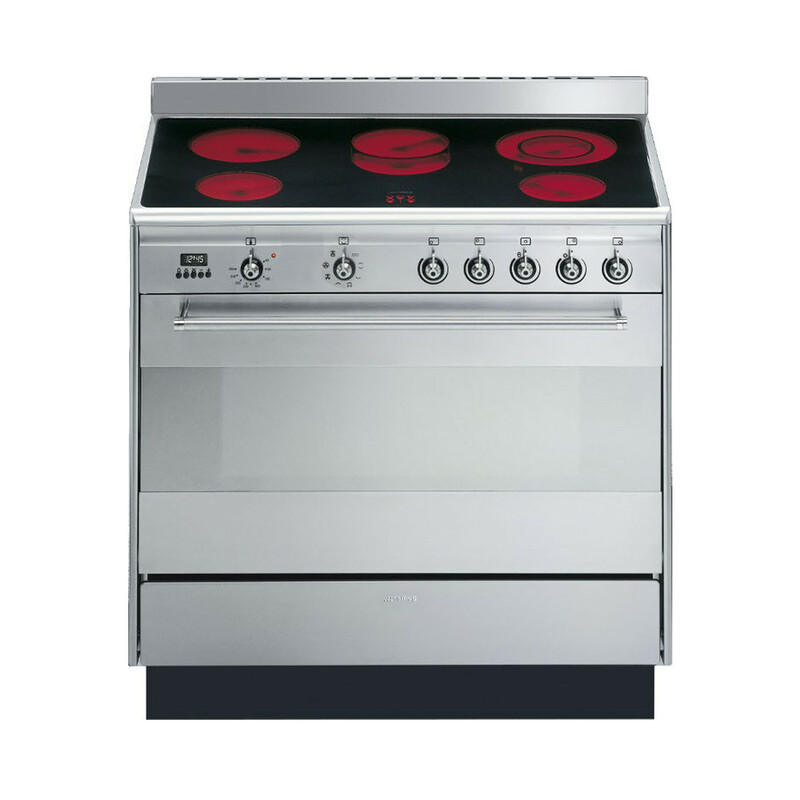 This cooker comes with a 5 zone ceramic hob, this hob has 2 dual zones to supply extra power giving you even more cooking options.